Luckily, the NRA and the Second Amendment Foundation have their back. Washington state’s new voter-approved gun-control measure violates citizens’ Second Amendment right to bear arms, gun-rights advocates including the National Rifle Association asserted in a lawsuit filed Thursday. The law known as Initiative 1639 was approved by 60 percent of voters in last week’s election. 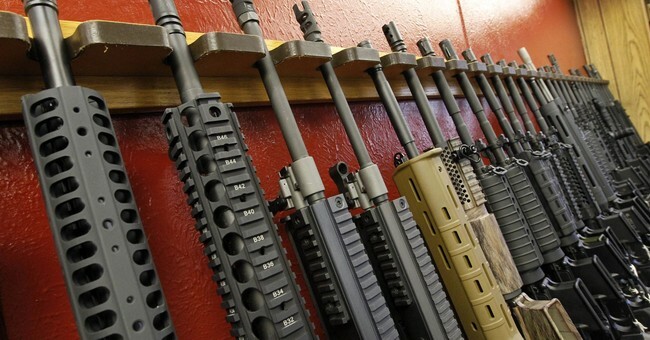 It calls for buyers of semi-automatic rifles to be age 21 or older, pass an enhanced background check and show proof of having taken a firearms training course, Q13 FOX of Seattle reported. But those objecting to the new law include the NRA and the Bellevue, Wash.-based Second Amendment Foundation, who filed their lawsuit in U.S. District Court in Seattle. Among the plaintiffs are a member of the U.S. Army Reserve and a competitive-sport shooter, both under age 21, the Seattle Times reported. The lawsuit also argues that aspects of the new law appear to require regulation of interstate commerce – which falls under the purview of the federal government, not the state. Earlier this year, gun rights activists almost blocked the bill from appearing on the ballot due to technical shenanigans on the part of I-1639 proponents, but somehow they managed to find a friendly judge and get it there. Now, however, there’s still a chance on blocking this horrible piece of…law. At the core of it, it’s a prime example of what gun grabbers truly want. They don’t want a change here or a change there. They want massive changes, and they don’t care if it impacts your ability to exercise your constitutionally protected right. They don’t care about your rights at all. Oh, they may couch it in the language of trying to help make the world a better place, but they don’t give a flying flip about that. They’re interested in making it so you can’t exercise your Second Amendment rights. That’s all it’s about in their little minds. I hope this is a winning move by the NRA and the Second Amendment Foundation. The people of Washington need this one, probably more than any other court case since McDonald. Win this, win it big, and then hopefully use that precedence to send the whole gun control house of cards tumbling down. Or, find out that the Supreme Court will deny yet another gun case.